The Deep Roots Festival is one of Milledgeville’s biggest claims-to-fame. Why? A big reason is the music. Taking over historic Milledgeville on October 24, 2015, this year’s festival has a musical lineup that’s got locals and visitors buzzing. We’re going to give you an inside look at two of this year’s artists: JR JR and Hippo Campus. 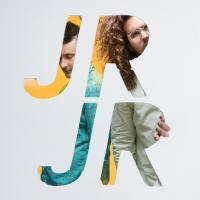 JR JR -- formerly Dale Earnhardt JR. JR. -- is an alt-pop group known well by fans and critics nationwide. Pitchfork music described their debut LP as “electro-tinged indie pop”, a description heard more and more when talking about the growth of the alternative scene. Since their recent name change to JR JR, they’ve been moving briskly through that scene, with a self-titled album and tour (including a stop in Milledgeville, of course). The Detroit duo may just be two people, but they produce enough sound and energy to keep a crowd of hundreds dancing – which is exactly what they intend to do on the evening of October 24th. Their self-titled album was released just this September, and the duo premiered the album’s single, “Gone”, on Conan on September 16. Paste Magazine described JR JR’s self-titled new album as forging ahead “on a steadier and more purposeful musical path.” They also describe tracks like “As Time Goes” as infectious and bright, saying that the experience that the duo has gained has only enhanced their passion for the music. This year’s Deep Roots-goers will experience the new sounds of JR JR as they close out the festival with bursting enthusiasm. It’s only been 5 months since Hippo Campus began a string of their first-ever headlining tour dates outside of their home state of Minnesota. Yeah, only 5 months. Their youthfulness comes across in their fresh and bright sound, but their talent feels older than they are. Their debut EP, Bashful Creatures, was well-received by the music community and their musical colleagues, JR JR. In fact, JR JR remixed one of the EP’s tracks, “Suicide Saturday”. Bashful Creatures was released in November of last year, and Hippo Campus hasn’t slowed their momentum since. Plus, the group released an EP just a few weeks ago on October 2nd. Titled South, it’s a part of a series called The Halocline EP’s that includes South as well as Bashful Creatures. Reviewers have compared Hippo Campus to upbeat, energetic alt-pop bands like Vampire Weekend and Bombay Bicycle Club. Alan Sparhawk, a member and composer in the renowned indie rock band “Low”, produced Bashful Creatures. This speaks to the level of recognition that Hippo Campus has received, even surrounding their first release. So what does that mean for Deep Roots? It means that the audience at this year’s festival gets to be a part of Hippo Campus’ route to stardom by attending one of their first headlining tour dates – right here in Milledgeville. If you come out for the music this Saturday, you’ll stay for the artisans, old-time car show, award-winning barbecue, shopping & family-friendly activities. 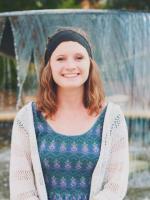 Meet Erin: Erin is a Junior at Georgia College, studying Mass Communication, Digital Media, and Spanish. On campus, she is part of the Bobcat Beats A Cappella group as well as Georgia College Miracle, a nonprofit organization that raises thousands of dollars each year for the Children's Miracle Network Hospital in Macon, Ga. Erin has a passion for painting, music, writing and travelling. She is happy to be immersed in the history and charm of Milledgeville and loves to tell others about the hidden gem that is Milly.